When you suddenly have a leak in your roof or experience roof damage, you may be facing a bigger repair than you want to handle on your own. However, dealing with insurance roof claims to make sure you get reimbursed can also be a daunting process. Most homeowners aren’t sure of what they should expect, how to make a claim or how to get the coverage they need. Your insurance company considers your roof the most important part of your house. Damage to the roof can lead to greater damage. Most storms with hail or high winds lead to a covered payout, but insurance companies don’t simply cover a roof replacement without proper proof and documentation. You want to understand your policy and you can ask your insurance provider about what all is covered. Some policies are going to consider the age of your roof and only reimburse the depreciated value. The older your roof is, the less is paid for the replacement. Most insurance companies will send out an inspector to check on the condition of your roof and determine if the damage was storm related or due to aging, poor condition of the roof or wear and tear. If your roof damage happens over time or is due to age, your will likely not have the resulting damage covered under your policy. Taking pictures regularly of your home can help if you ever need a replacement and have to prove the previous state of something. Whenever you have updates or maintenance done, you can take new pictures to keep your documentation up to date. 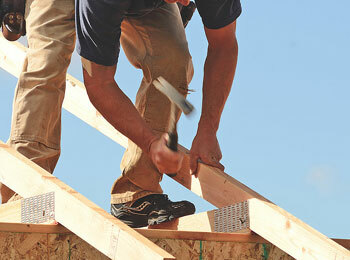 Get estimates from roofing contractors you trust so you are aware of what the repairs are going to take. Your roofing company should be run by a contractor who knows how to deal with insurance claims. Most insurance companies will allow you to choose a contractor of your choice. Your roofing professional will help you navigate the insurance process and make your claim. Some roofing companies even provide Certified Public Adjusters to help deal with your insurance company for you. If you are looking for a roofing professional to help you with your claim in the Southwest Florida area, call JKS. We will help you assess the damage, file your claim and get your roofing repairs done as quickly as possible. Get an instant quote now!